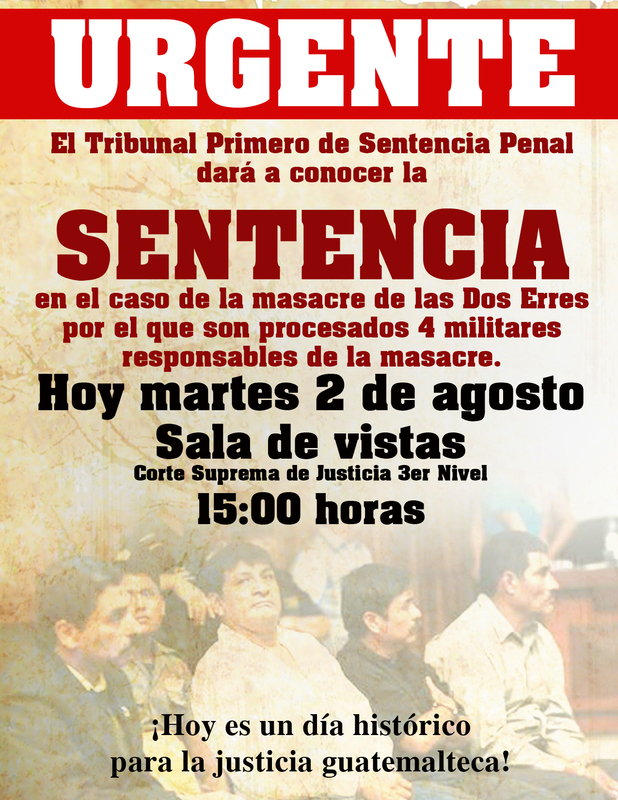 A strong ruling was delivered today in the case of the Dos Erres massacre, with four Guatemalan ex-military members sentenced to the maximum penalty for 201 murders and crimes against humanity: a symbolic sentence of 6,060 years of prison each, of which they will serve the legal maximum of 50 years. Justice continues to advance in Guatemala! Aside | This entry was posted in News and Analysis and tagged Dos Erres, Guatemala, justice. Bookmark the permalink.